The Atlantic Salmon Ecosystems Forum (ASEF) began in 2002 as the biennial 'Maine Atlantic Salmon Technical Advisory Committee Research Forum.' In 2018, the Atlantic Salmon Research Joint Venture (ASRJV), based in Canada but with US representation through NOAA, indicated that they would be interested in hosting ASEF in Canada in the off-years. 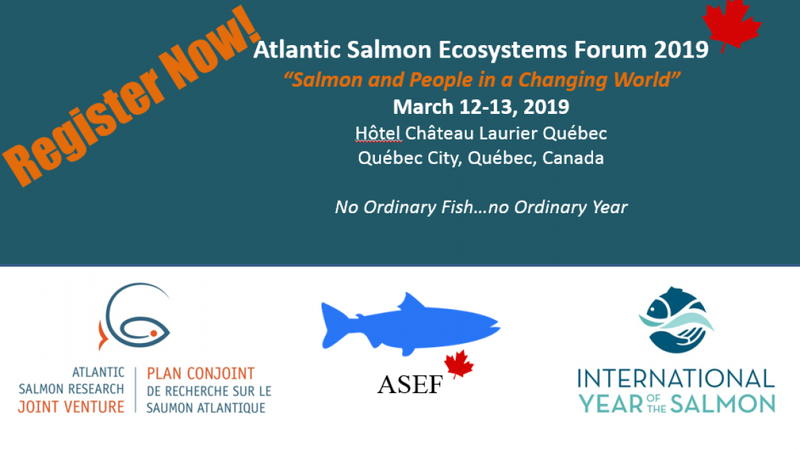 The Forum in 2019 is therefore the first year that ASEF will be held in Canada and coincides with the focal year of International Year of the Salmon (IYS). The overarching theme of the Forum is not surprisingly the theme of the IYS: Salmon and People in a Changing World. In recent years, the meeting has focused both on emerging research priorities and management and conservation needs that improve our understanding of the ecosystem processes influencing riverine, estuarine, and marine habitats. This holistic approach allows us to better explore the many factors affecting diadromous species survival, population dynamics, ecosystem structure and function from headwaters to the ocean. 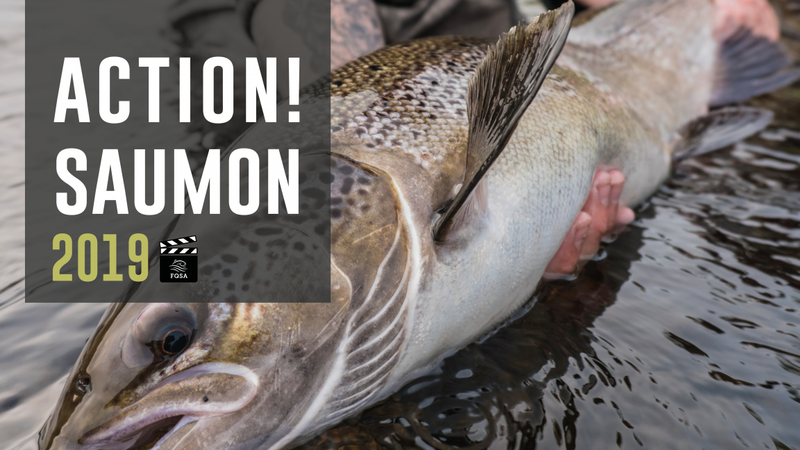 The 2019 Forum in particular will include session themes based on 3 of the Research Themes for the International Year of the Salmon. The Areas of Research Focus for the ASRJV will provide further guidance upon which authors may tailor their abstracts (please see attached Guidelines for Authors). 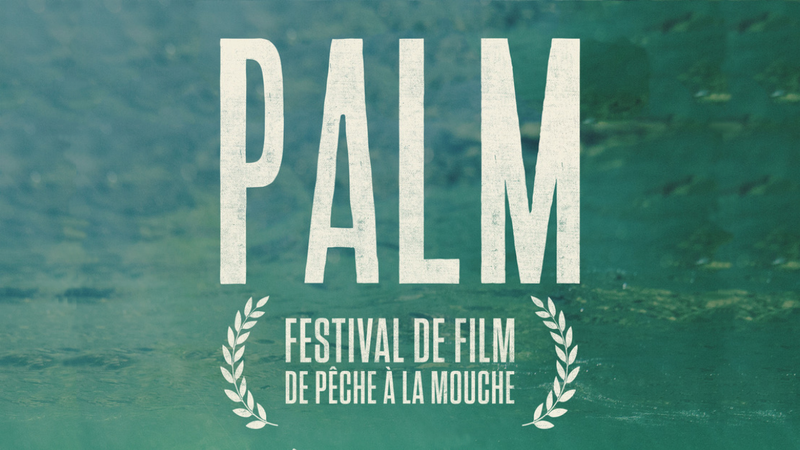 A poster session will be held the evening of Tuesday, March 12. * Note: There will be awards for best student presentation and best student poster. Like the previous forums in Maine we are hoping to attract a diverse audience interested in engaging in meaningful discussions pertaining to the past, present, and future of diadromous species science (Atlantic salmon in particular), management, conservation and restoration, with an emphasis on re-establishing lost biological, physical, and social connections between and among humans, habitats, and fish. For more information, please contact Patricia Edwards at Patricia.Edwards@dfo-mpo.gc.ca. - Guest room rate: $119.00+tax CAD/nt. ; Parking: $20.00 CAD/nt.